I love this sweet potato casserole, it’s citrus and caramelized and everything nice! Oh did I also mention it’s super easy to make? Preheat oven 375 F. In a large bowl mix all ingredients except butter. Place mixture in baking dish and scatter butter atop. 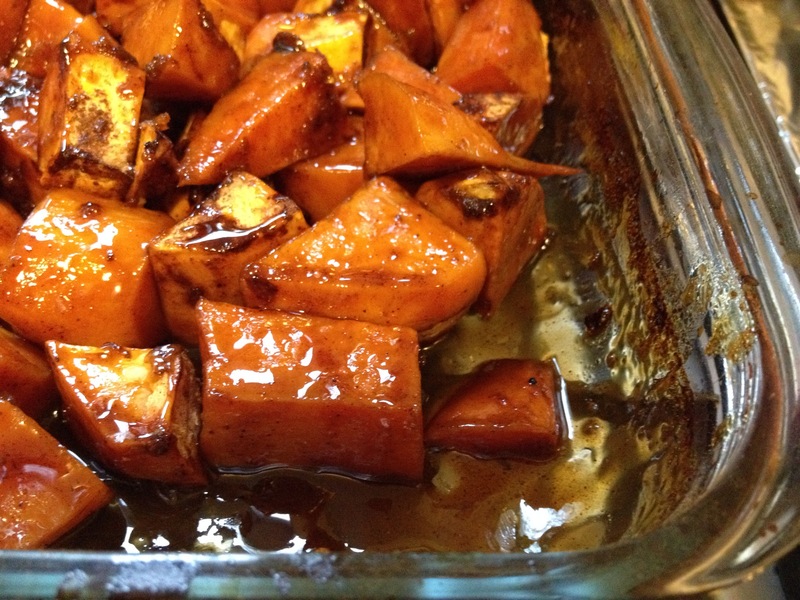 Bake until sweet potatoes are cooked through and caramelized, about 40min. For a dressed-up version you can cut the sweet potato into thin rounds and arrange them concentrically in the baking dish. 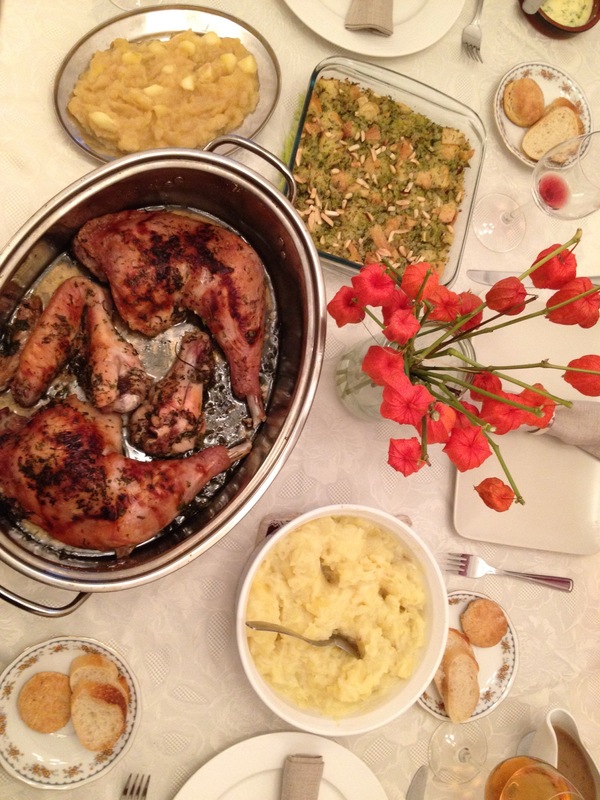 If you want the recipe for the stuffing pictured above click here.